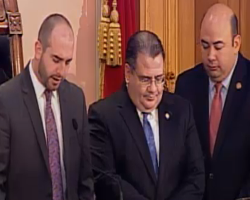 Ohio House of Represenatives in session. Photo by Joshua Rothaas Used with permission. 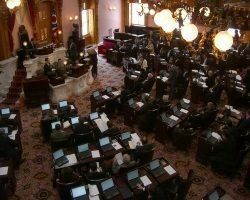 In Ohio, Substitute HB 425, also known as the Ohio Student Religious Liberties Act seems to codify rights in state law that public school students currently enjoy from the 1st amendment of the US Constitution and that have been affirmed through various court cases over the years. Why would a GOP majority seem to want to protect religious freedom for students? To give cover to discriminate and bully LGBT students of course. This entry was posted in Entanglement, Politics, Religious Intolerance and tagged bullying, church and state, LGBTQ, Ohio, public schools, religious bigotry, Republicans on March 22, 2016 by Doug. 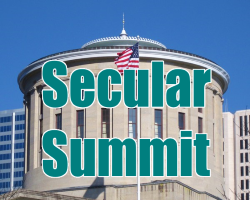 On February 10th I attended Secular Summit 4.0 at the Ohio State House in Columbus. It was hosted by CFI NE Ohio. It was the second lobby day I attended and this time I tried to as prepared as I could be to speak to my representatives. Secular people need to do more in person lobbying of our elected officials in addition to phone calls, written messages, and blog posts. This entry was posted in Groups, Politics, Positive and tagged church and state, citizen lobbyist, legislation, lobbying, Ohio, Secular Summit on February 21, 2016 by Doug. 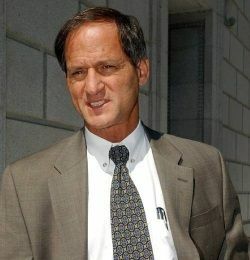 Michael Newdow has a history of lawsuits to support church and state separation. 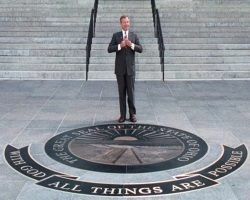 After addressing the phrase ‘Under God’ in the Pledge of Allegiance, Newdow recently filed a lawsuit, in Ohio, to have the US Motto ‘In God We Trust’ removed from our currency. The difference this time is he plans on using the same argument Hobby Lobby used to get out of the contraceptive mandate of the Affordable Care Act. Newdow’s strategy is very interesting and looks promising. 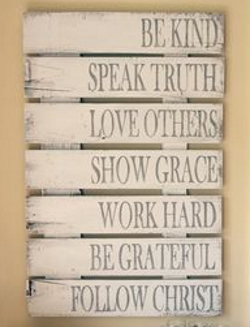 This entry was posted in Courts, Entanglement, Religious Intolerance and tagged 1st amendment, Burwell v. Hobby Lobby, church and state, Michael Newdow, motto, Ohio, Religious Freedom Restoration Act on January 15, 2016 by Doug.